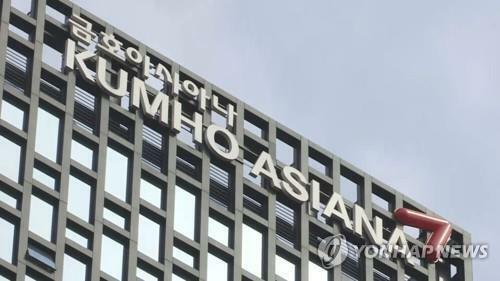 SEOUL (Yonhap) -- South and North Korea failed to iron out differences over the resumption of a shuttered joint factory park during their fourth-working level talks on July 17 but agreed to meet again next week. 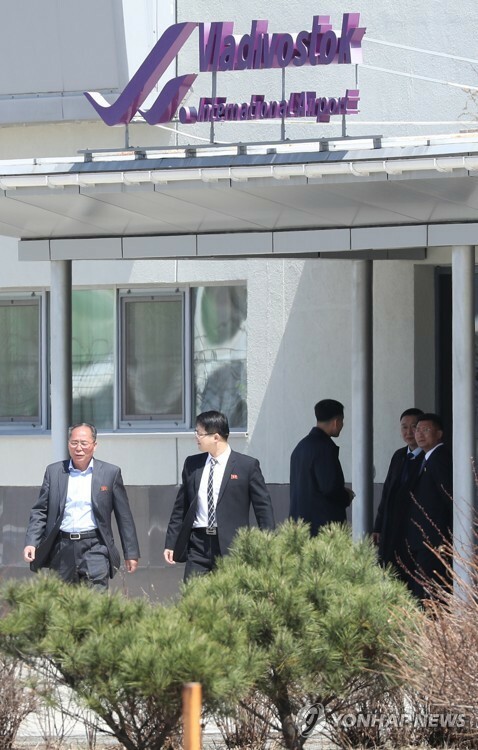 Three-man delegations from each side sat face-to-face for their fourth working-level dialogue in order to revive operations at the Kaesong Industrial Complex in the namesake city in the North, which has remained idle for over three months. 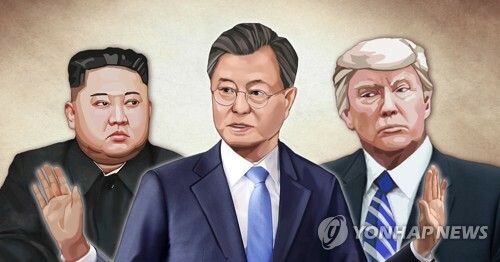 The latest discussions, however, turned out to be only a repeat of the last two talks, as both sides were unable to reach a compromise and refused to budge on the conditions for resuming the joint factory park created after the landmark inter-Korean summit in 2000. To continue their efforts to restart the factory park, both countries agreed to hold another round of working-level talks in the city of Kaesong on July 22. "Our side stressed that the key issue in a (final) agreement is (the North's) measures to guarantee the prevention of another suspension of the park, but the North side did not show any shifts from its previous stance," Kim Ki-woong, who heads the South Korean delegation, said in a briefing in Kaesong after wrapping up the dialogue. "The North and the South still have a wide gap in drawing up legal guarantees needed to normalize (the park) in a constructive way," Kim said. The North has demanded swift normalization of the joint park, but without codifying any commitment not to unilaterally shut down the factory zone again. Operations at the Kaesong Industrial Complex, one of only a few inter-Korean exchange programs that survived former President Lee Myung-bak's hard-line policy toward the North, ground to a halt in early April as North Korea withdrew all its laborers there, citing threats from joint Seoul-Washington military drills in March. After months of warlike threats from the North that followed the suspension, the North accepted the South's proposal to hold talks on normalizing the factory park. During their first round of talks in early July, the two countries agreed to work toward reopening the joint economic project, just north of the heavily fortified inter-Korean border. During their past talks, the countries exchanged only barbs as they set forth different conditions for resuming the complex. The South has demanded that the North promise not to unilaterally shut down the park again and has said they need the North to come up with a legal system to protect the safety and property rights of South Koreans who have invested and worked in the park. 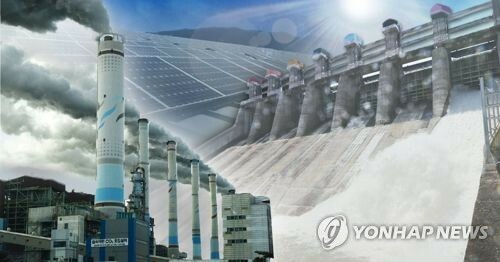 The North, however, has continued to blame the South for the suspension of operations at Kaesong, according to the South Korean ministry. The North's official Korean Central News Agency (KCNA) said in a report that the fourth round of talks ended without any progress due to the South's "unreasonable assertions and insincere attitude despite the North side's sincere efforts." At the talks, the KCNA said, the North side advanced sincere and practical proposals for normalizing the operation in the zone at an early date. The proposals included the issue of refraining from all political and military acts of hindering the normal operations in the zone and the issue of preventing the recurrence of a suspension of operations, according to the KCNA report. The proposals also included the issue of building institutions and mechanisms to fully ensure secure operations and business in the zone; the issue of ensuring personal safety and protecting investment and properties; the issue of passage, communications and customs; and the issue of developing the zone into a zone for economic cooperation with international competitiveness, the KCNA said. "But the South side took such a very dishonest and insincere attitude as creating artificial hurdles in settling the issues, insisting only on the blame for the crisis in the zone and unilateral assurances against a recurrence," it said. "The South side claimed it has the stand of normalizing the operation in the zone but came out to the talks without any draft agreement, the basis of negotiations. It only pretended to have the talks and keep them going on, thus making them fruitless." As the inter-Korean working-level dialogue is further prolonged, analysts questioned the future of the joint industrial park, predicting that the on-going talks may not lead to the resumption of the park anytime soon, given the wide differences of opinion between the two sides. 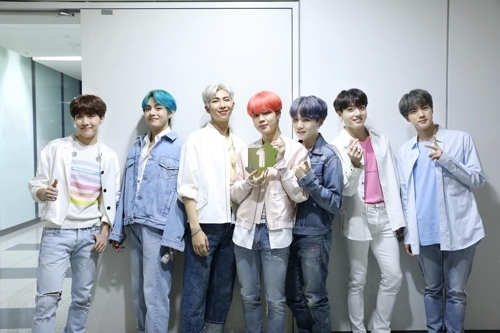 A team of 301 officials and workers from the South Korean firms that own factories in the zone also paid a one-day visit to the joint complex on July 17 to bring out manufactured goods and production materials from their factories. 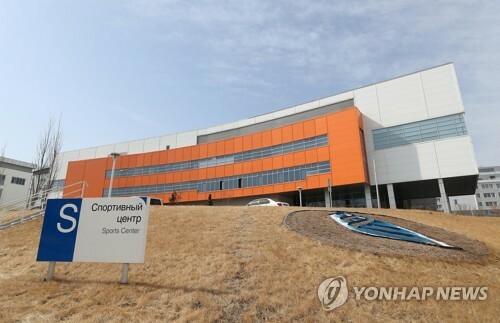 After the third round of talks on July 15, South Korea's chief negotiator Kim Ki-woong said he reiterated calls for the North to guarantee the safety of its businessmen who have to work at the industrial park and pressed the North to transform the complex into an international manufacturing zone by adopting global standards of doing business. He added that Pyongyang must provide legal and administrative assurances to protect investments and assets owned by South Korean companies. All operations at Kaesong were halted after Pyongyang unilaterally withdrew all its 53,000 workers hired by the 123 South Korean companies there on April 9. The North had cited heightened tensions on the Korean Peninsula caused by the South for its decision to close the industrial zone. "Both sides were able to sufficiently outline their views, and Pyongyang forwarded a revised version of their proposal made last week," the delegate said. 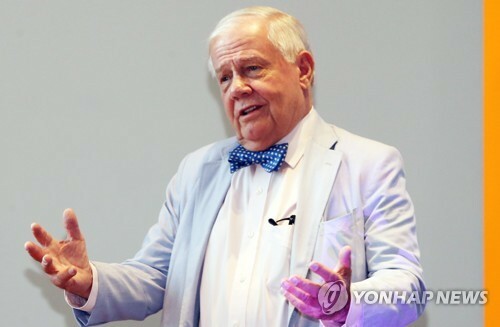 He said Seoul also sent a plan for normalization, but considerable differences remain. Kim, who is head of the unification ministry's inter-Korean cooperation district support directorate, explained to North Korean officials the fallout from the disruption in operations caused by Pyongyang's unilateral decision and emphasized that such a development should not happen again in the future. In addition, Seoul wanted the socialist country to change existing communication and customs rules. In response, Kim's counterpart Pak Chol-su said that if the talks go well, the Kaesong park will become a hope for the future, but if not, "the complex will be like a market that opens once but never again." He said full-fledged operations at Kaesong must resume as soon as possible and questioned Seoul's will to move forward with the talks. Prior to the third round of talks, local experts had predicted that it may be difficult for the communist country to admit responsibility for the closure of the factory park, which had been the most visible symbol of cross-border reconciliation. Unless the North changes its current stance and accepts calls made by the South, talks may become a long, drawn-out affair, and it will be difficult to make progress, they said. The complex, which started churning out products in late 2004, was created as a result of a historic 2000 summit meeting between then South Korean President Kim Dae-jung and late North Korean leader Kim Jong-il. Before the halt of its operations, Kaesong had been an important source of revenue for the cash-strapped North. Related to the negotiations, North Korean media called on Seoul to change its policy stance and end the present stalemate. Rodong Sinmun, an organ of the ruling Workers' Party of (North) Korea, said in an editorial that policymakers in Seoul should give up their outdated notions of not trusting other Koreans. During the first round of talks on July 7, South Korea put a higher priority on averting further suspensions of the park while North Korea focused more on the resumption of the complex, but both sides compromised. The North accepted the South Korean businessmen's desperate pleas to check the conditions of their machines during the rainy season and to ship finished products, machines and other supplies back to the South. At the second round of talks, held on July 10, South Korea demanded the North to firmly guarantee and implement concrete measures to prevent a recurrence of the shutdown. But Pyongyang shifted the blame onto Seoul and reiterated its demand that the complex should be restarted as soon as possible. The South made it clear that its companies would not be allowed to resume operations until after the North gives its assurance against another suspension. In response, the North called on the South not to take actions that could affect its normal operations. 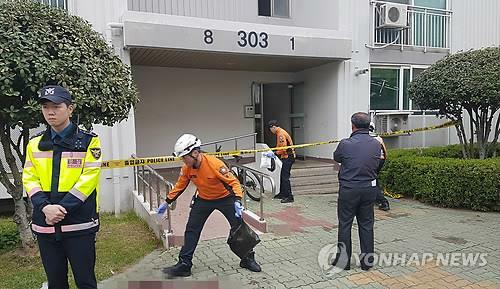 In other words, it was saying it pulled out its workers in protest against the earlier launch of joint South Korean-U.S. military maneuvers. In the same breath, however, the North demanded the South Korean companies be given permission to restart operations. The Park Geun-hye administration is determined to prevent the North from having its way at the expense of the South. Ryoo Kihl-jae, the South Korean unification minister, said, "It's quite regrettable that the recalcitrant regime showed no sincerity about Seoul's call for fundamental measures to prevent another shutdown. Instead, Pyongyang brazenly urged Seoul to stop all acts that could undermine the normal operation of the complex."